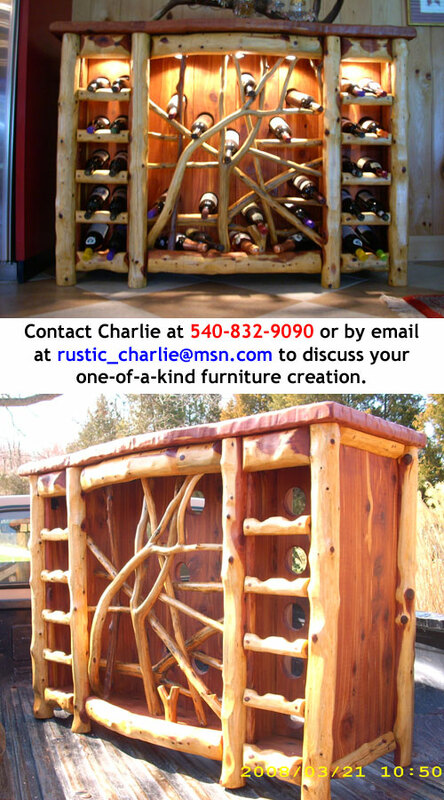 Hello, my name is Charlie and I am a Roadside Artist local to Gordonsville, Virginia specializing in Handcrafted Cedar Log Furniture and Wooden Signs. 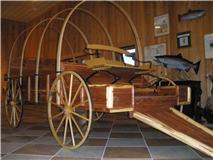 I Design, Custom Build, Ship and on occasion Deliver Indoor and Outdoors Log Furniture and Wooden Signs. 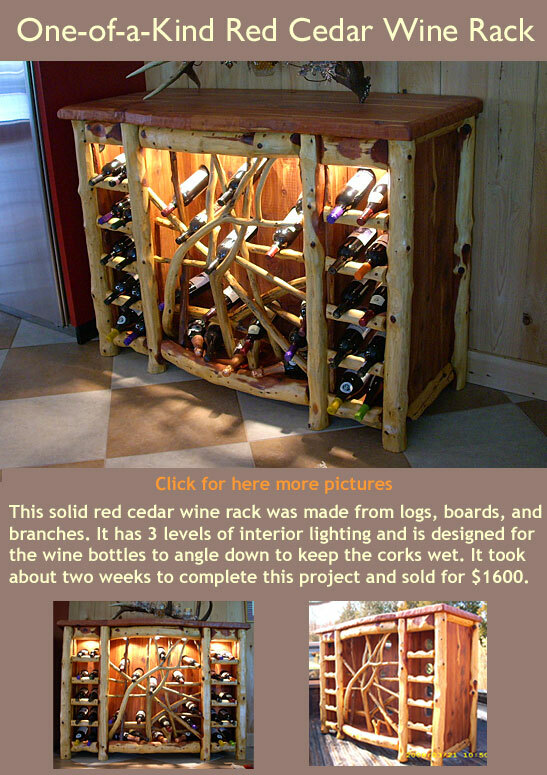 Over the years I have Designed and Hand Crafted Furniture from a variety of Hand Picked Recycled Trees, for every room; from one of a Kind Pieces to entire Suites of Furniture. 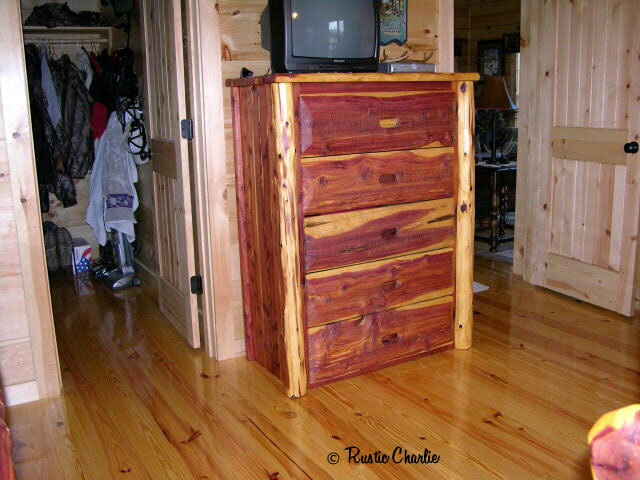 I especially enjoy the challenge of creating Specialty Furniture such as Initialed Throne Chairs, an Elegant oversized Desk with 4 different types of wood, a Red Cedar Chuck Box with Walnut Trim, Twin over Double Bunk Beds with a Built in Ladder, Regular and Day Beds with Custom Drawers built in underneath, Wooden High Chairs with Wrought Iron Arms and Custom Fit VA Red Cedar Hot Tub Steps. 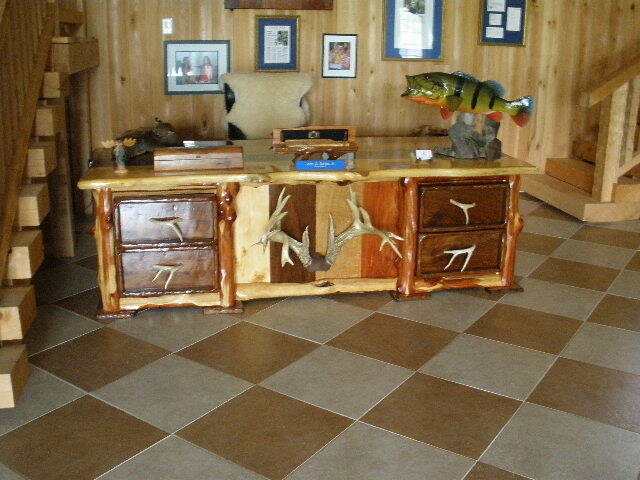 My reasonably priced Hand Carved Creations be they Unique, Casual, Elegant, Cowboy or Rustic Furniture are valued as Solid High Quality Wood Furniture which will last for Generations. 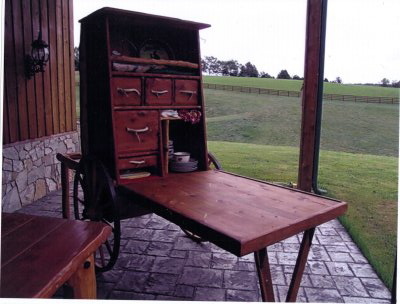 Drop by anytime, my simple Home Based Workshop is on the Right on Route 15 one forth of a mile before the Gordonsville Traffic Circle, 1 1/2 hours South of Washington DC. 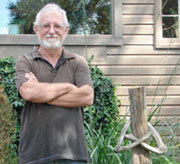 Portfolio Available. 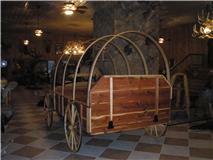 Estimates Free. 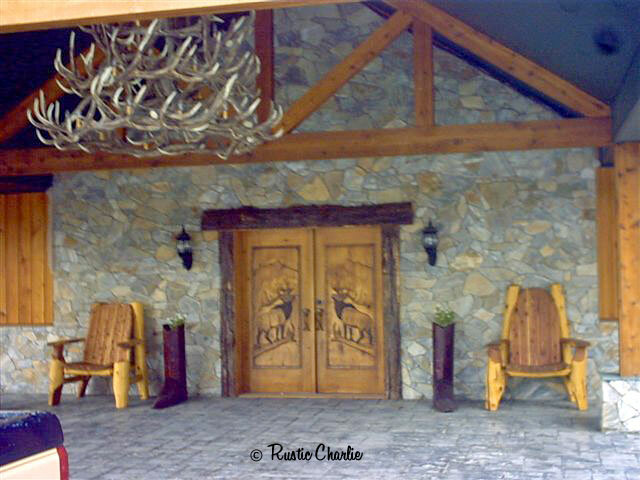 Popular as a Gift Item Rustic Charlie's Original Design, the comfortable Rustic Charlie's Va Cedar Hand Carved Rustic Throne Chair, makes an elegant addition to any Home or Home Office; especially Elegant or Rustic Log Homes, Lodges, Log Cabins, Churches, Decks, Porches, Patios, Lawns or Pools. 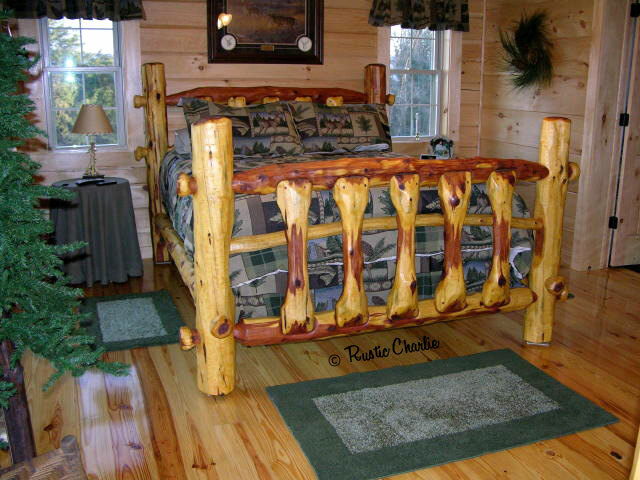 The Rustic Charlie Hand Crafted Log Throne Chair is oversized with wide arms and measures approximately 55" high x 42" wide x 35" deep. 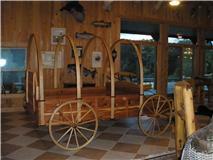 Each unique Throne Chair is Designed for comfort and varies in Style and can be made to fit with you and or your loved one in mind. 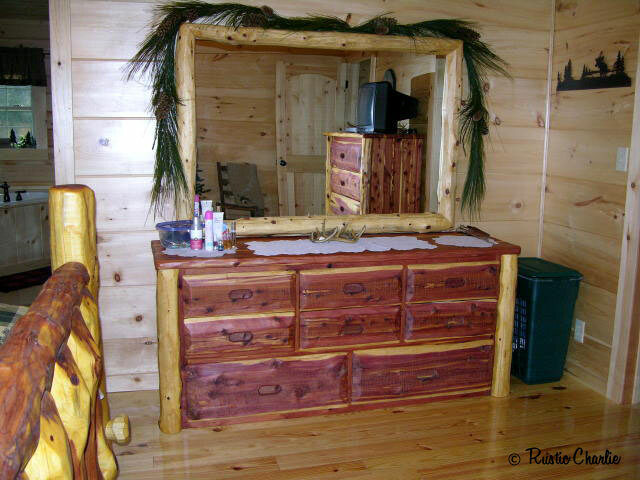 You may want to have your Name, Initials or other words carved into the back of each Cedar Log Chair. 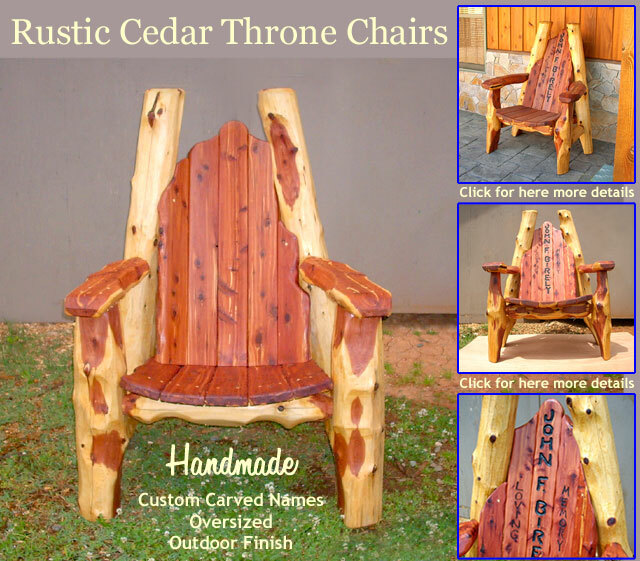 This Optional Feature will make your Handmade in the USA Rustic Charlie Va Red Cedar Log Throne Chair personal and unique. 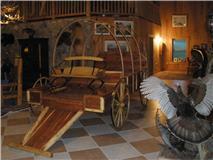 Click on the small photos to view larger pictures on our Photo Gallery page. 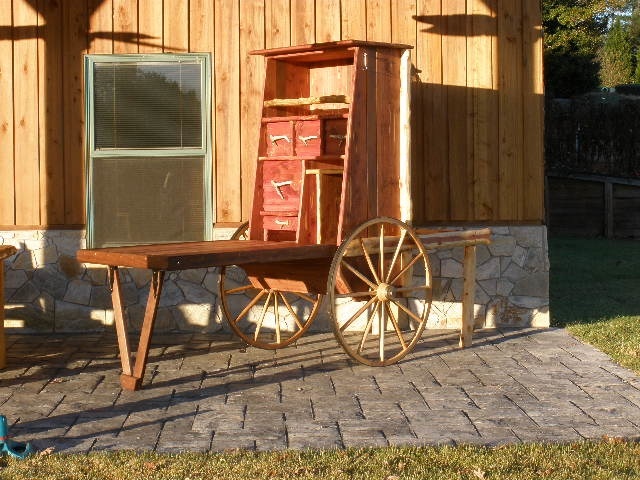 As a 'Made in the USA' Roadside Artist Rustic Charlie offers a large variety of original or custom designed hand crafted items from his home based workshop. 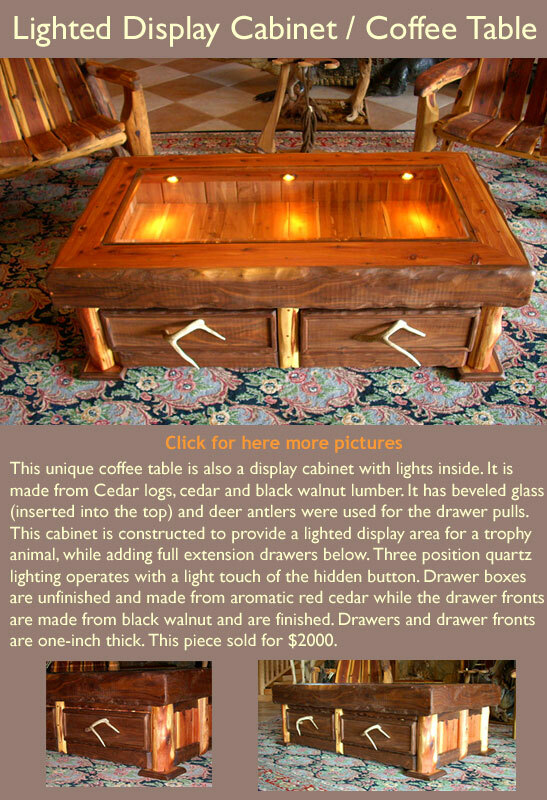 His one of a kind handmade creations can be picked up or shipped for your Private Home, Lodge, Log Cabin, Cottage, Restaurant, Office, Convention Center or Theater. 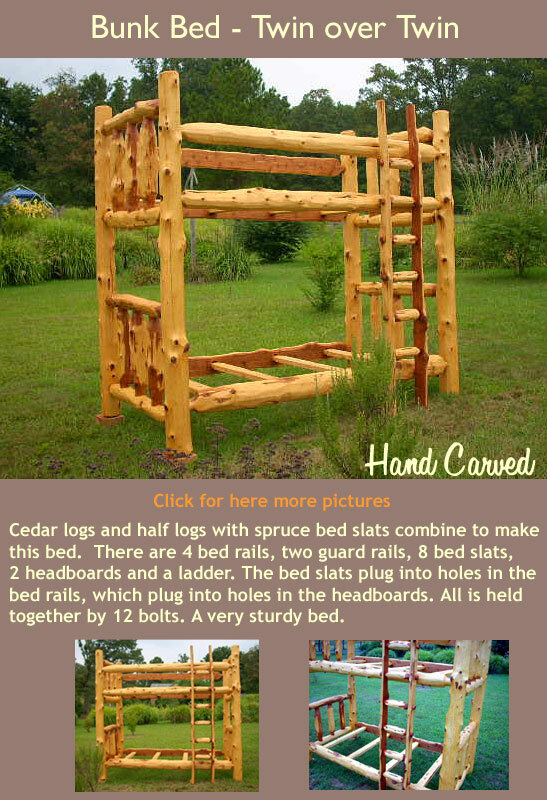 Rustic Charlie's hand made custom Log Furniture is designed according to your preferences, be they simple, unique, rustic or Western and Cowboy pieces of a casual elegant nature. 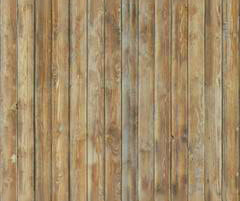 Call or drop by to discuss what you have in mind. 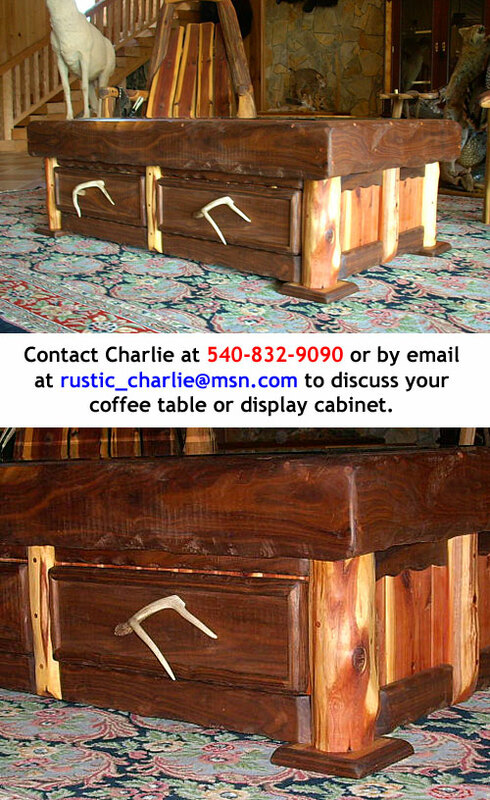 Call Rustic Charlie at 540-832-9090 to order your rustic, lodge, home, or cabin furniture now! 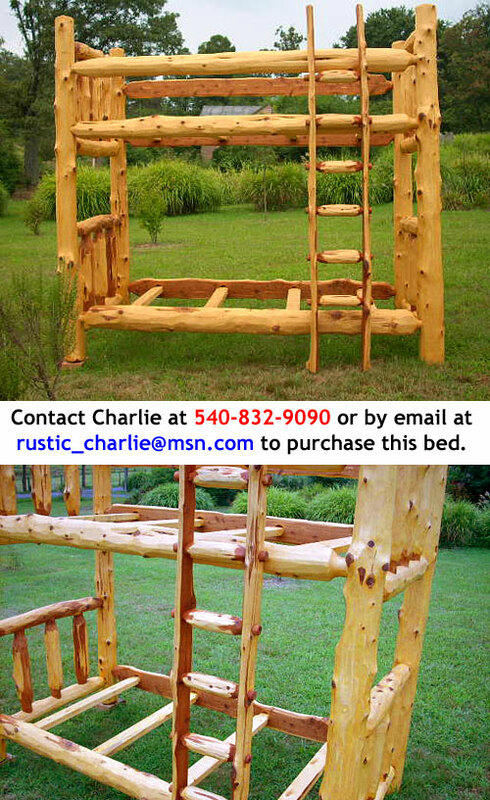 is owned by Rustic Charlie.